Hello and welcome to one of the greatest churches this side of heaven, the St. Luke Missionary Baptist Church. I am so excited about what God is doing for St. Luke right now. This is really one of the best times that I have experienced in my 20 years of Pastoring St Luke right now in this season. We continue to embrace Who God Says I AM, and we know that once again that this season has shifted to a completely different level. If you’re ready for the shift, come and partner with us. 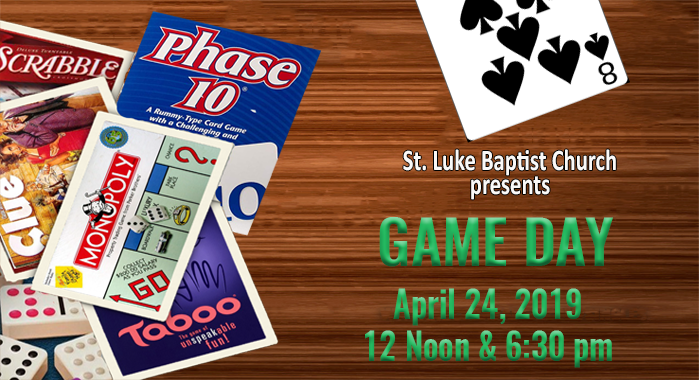 St Luke Baptist Church is a Christ centered Ministry that seeks to Save The Lost, Serve The Saviour, and Equip the Saints for Ministry. We have Midweek Service Wednesdays at 12pm and 6:30pm. Our Sunday services are at 8:00am and 10:30am each Sunday. We have a variety of ministries that will meet you where you are. If you are new in town and are looking for a Christ Centered place to worship and call home, we welcome you. If you are a part of the body of Christ and life happened causing you to stray away, we welcome you. If you are looking for a perfect place, then we are not that place. But, if you are looking for a place where the people love God and love on each other, then you are definitely in the right place. Simply come and worship with us and our Pastor will give the invitation to join after the sermon has been preached. All you have to do is come down front and have a seat. You don’t have to say a word. 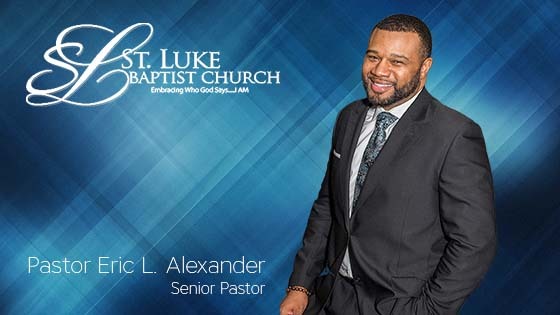 If you are uncomfortable coming down front, you can speak to any one of our members or staff, and we will be glad to help you in your desire to partner with St. Luke Baptist Church. All you have to do when you get here, is to simply worship the True and Living God, make yourself at home, and just praise The Lord. Feel free to sing, clap your hands, shout, and do your dance if you want to. One of the top 3 church's in Arkansas! The Pastor will preach your socks off with such a rich word. They are time aware. Just an all around good spirit filled service. You can tell the pastor studies the word. It's amazes me with his interpretation and delivery. Familiar scriptures from an angle you've probably never thought before. I leave feeling better when i leave than I did when I came in. I cannot think of a better church to grow in, and I have been in many with travels. God is alive and well at St. Luke and the pastor and members treat you as such. Come visit, and I promise if you don't join, you will at least give it some serious thought. Trust me, God has a plan for you at the Luke. My church is the best church on this side of heaven! I love, love my Preacher, Teacher and Pastor Eric L. Alexander! St. Luke is a family oriented church where the love for members is so pure & true! We have adequate parking for all of our visitors either in front of our CrossPoints building or in the rear of our Worship Center. Here at St. Luke Baptist Church, we have a “come as you are” atmosphere. You will see some dressed up; some dressed casual. We have no expectations for attire, just that it be respectful. Every now and then God will hold you in the valley to get you ready for your Promotion! Your valley is your setup for a hookup!